The Los Angeles Kings head into Madison Square Garden tonight just two wins away from the Stanley Cup, and BAIT has some gear for the fans to rock and show their support! 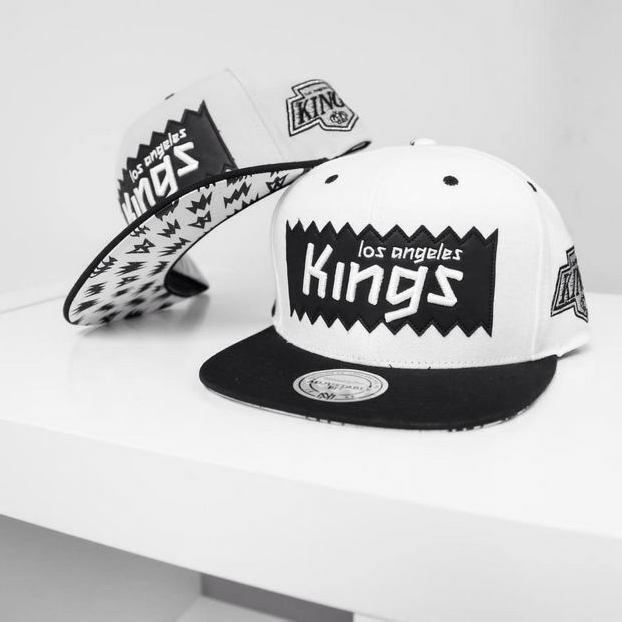 Two LA Kings selections from the BAIT x NHL x Mitchell & Ness Collection are still available, one white and one grey. The wool snapbacks feature a soft premium leather BAIT logo box on the front panel, with the team branding in a special 3D raised embroidery. The caps boast the signature BAIT explosion pattern on the underbill and top button, plus an oversized Kings logo on the side. Come by and pick one up before game time, or order online!